Bag of 10 beads. 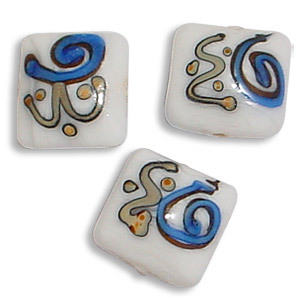 Lovely handmade glass lampwork beads. Size: 16mm long, 10mm thick. Bag of 10 beads. Lovely handmade glass lampwork beads. Cream base with copper and brown swirls, with raised dots. Size: approx.